A quick summary: Tillie enjoys school, but she also enjoys being a kid. 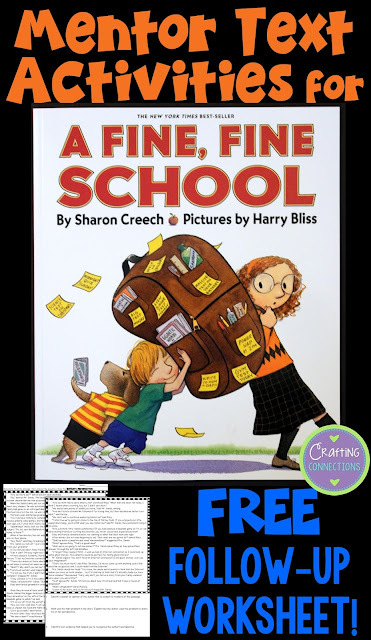 One day, the principal at Tillie's school, Mr. Keene, decides that the teachers and students at his school are doing so well, that he wants them to have school on weekends. The teachers and students didn't want to go school on the weekend, but no one knew how to tell Mr. Keene that. Mr. Keene is so proud of his school, that he decides to have school on holidays, too. A few months later, he cancels summer break. Finally, Tillie speaks up. She explains to Mr. Keene that although the kids are learning a lot, there are also many learning opportunities that have to be missed, like learning how to climb trees. Mr. Keene realizes that Tillie is right, and he changes the schedule back to the normal Monday-through-Friday schedule. The teachers and children are ecstatic! I LOVE THIS BOOK for so many reasons!! First, the author finds a subtle way to express her views on the current state of our educational system, with its overabundance of testing and procedures that are not in the best interest of our students. Along with that, the illustrations by Harry Bliss are fun to look at, but also quite profound. He further emphasizes the author's viewpoint with his illustrations. When I read this book with students, we have fun looking at the details in each illustration. Notice the banner that is hanging in the lunchroom that reads "WHY NOT STUDY WHILE YOU CHEW?"! The sticky notes on Tillie's suitcase say "HUGE TEST SUNDAY", "MASSIVE TEST SATURDAY", and "THE LARGEST TEST IN THE ENTIRE UNIVERSE NEXT WEEK!" Notice the details in this illustration! The girl is putting a 10,000 count box of pencils in her locker! On the other side, a girl is carrying a backpack with a WIDE LOAD sign. After reviewing the information on the anchor chart, I'll tell my students that I am going to read aloud a book today, and I want them to try to figure out a belief of the author that is evident in this book. I'll show the cover to my students, and ask if anyone would care to share a prediction about the author's perspective, just based on the title and the cover illustration. 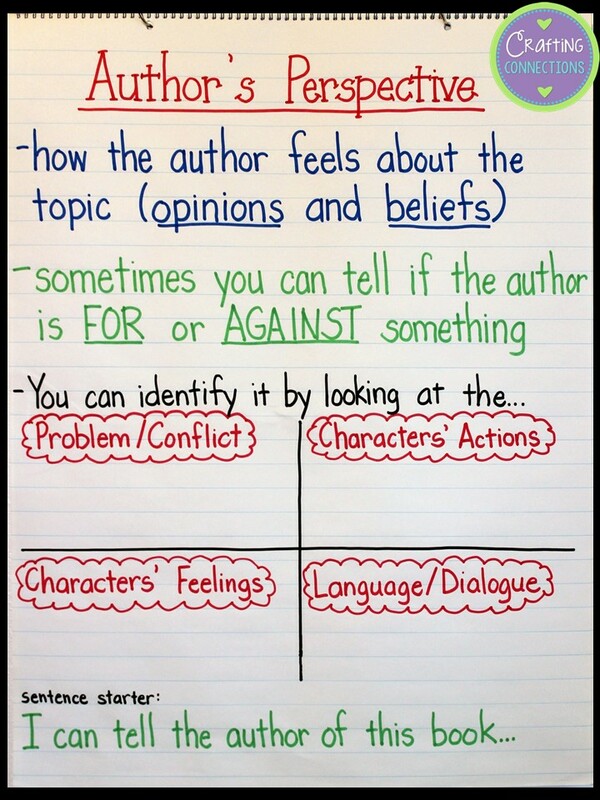 After enjoying the book, we will use discuss each quadrant on the anchor chart. 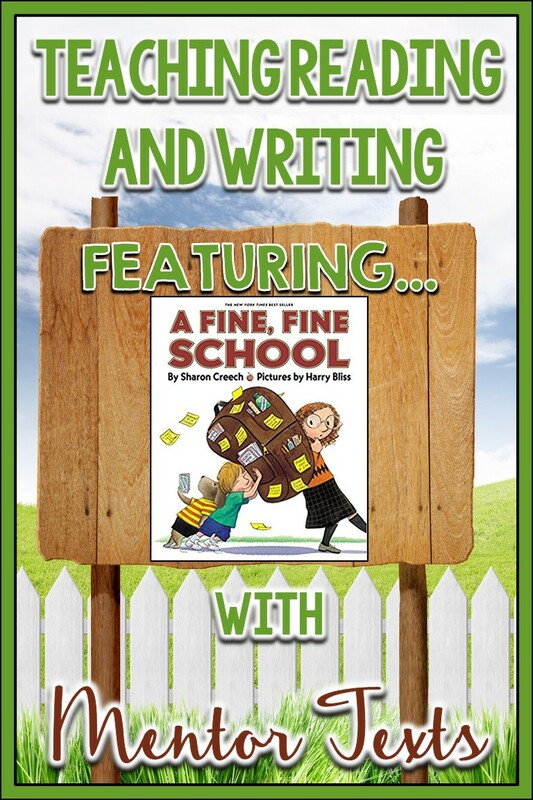 For example, we'll talk about the problem/conflict in A Fine, Fine School, and discuss how it helped us determine the author's beliefs about school. I'll record notes of our discussion on a sticky note, and add it to the anchor chart. After discussing each quadrant, we will ultimately determine that the author of the book believes that today's schools aren't as student-centered as they should be. Rather, most schools are test-centered... administrators are focused on making policies that will allow kids to test well. It's evident that the author believes administrators and policy-makers need to take a step back and realize that a lot of important learning happens outside of schools, too. 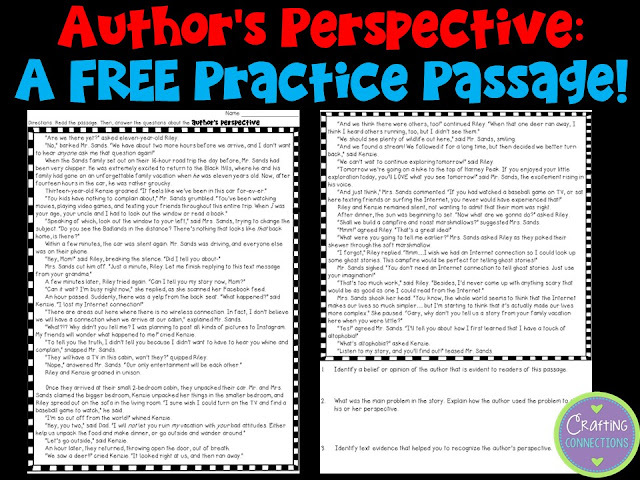 After this guided discussion, you can use the following worksheet as independent practice to determine which of your students can identify the author's perspective without your help, and which students need additional small group instruction. 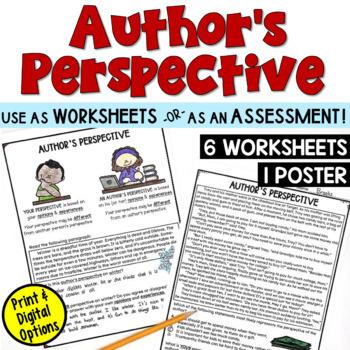 Just click on the image below to download the FREE worksheet! 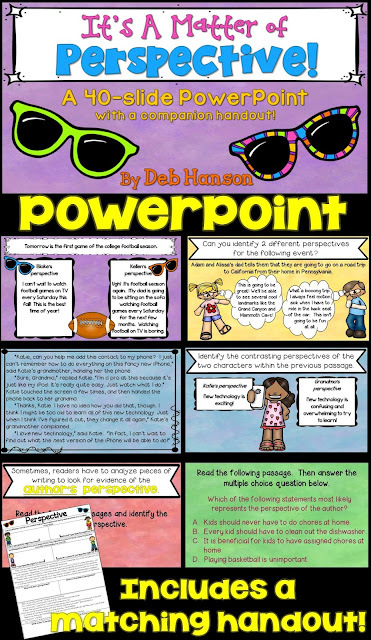 Also, if you are looking for additional resources that focus on the ability to identify the author's perspective, feel free to check out my PowerPoint and worksheet packet! Thanks for stopping by! Before you leave, be sure to enter the giveaway. One lucky winner will receive all of the books shared in this linkup!! By the way, MY MYSTERY WORD IS SPRING. Also, be sure to hop around to my friends' blogs and check out the other books shared in this linkup! Deb, this might be my new favorite book!! Hilarious! I am ordering it now. This would be a good one to read at a staff meeting just for fun :) Thank you for such a great post. Deb, this post is incredible! This is such a complex skill for my students to understand, but so critical. I will be sharing your post with my ELA head and suggest that it is shared with our district. Thank you, thank you, thank you! I'm embarrassed to say that I've never read this book before - but now I am going to! What a great resource for perspective! Thank you for practice passage and for the wonderful teaching ideas! 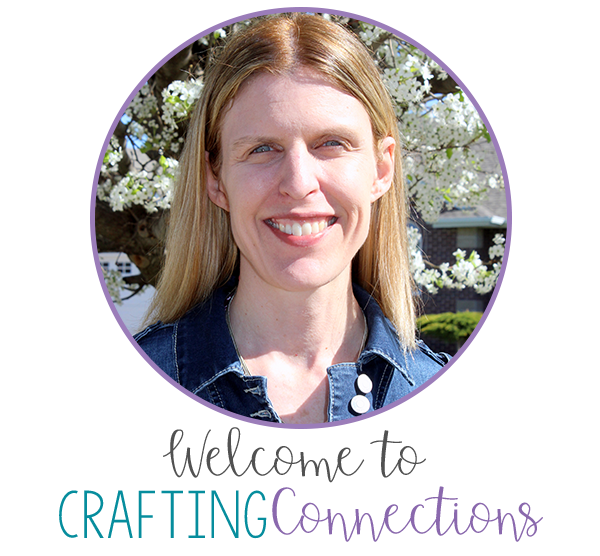 I love Sharon Creech and look forward to checking out this book.